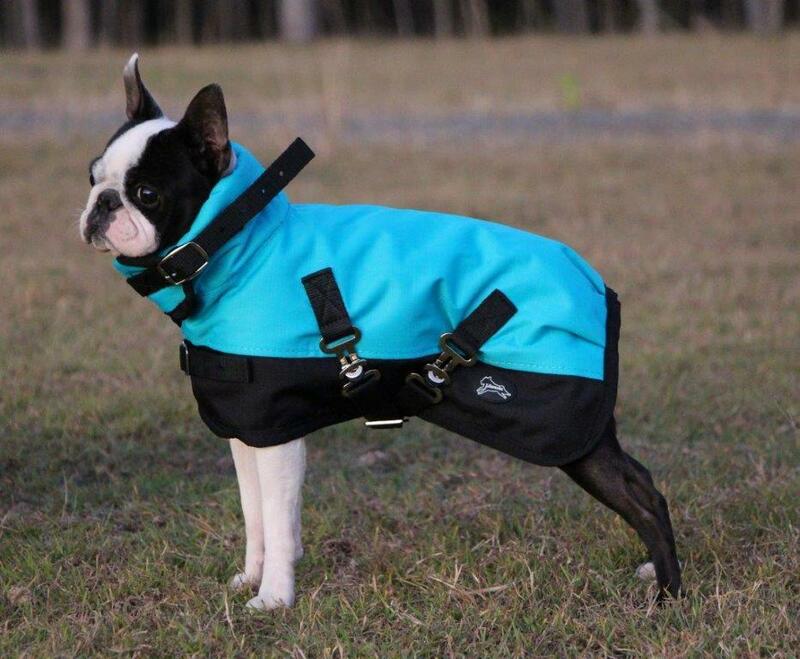 This rain coat is strong and waterproof. 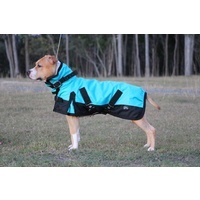 The coat features a breathable nylon lining (no fill). 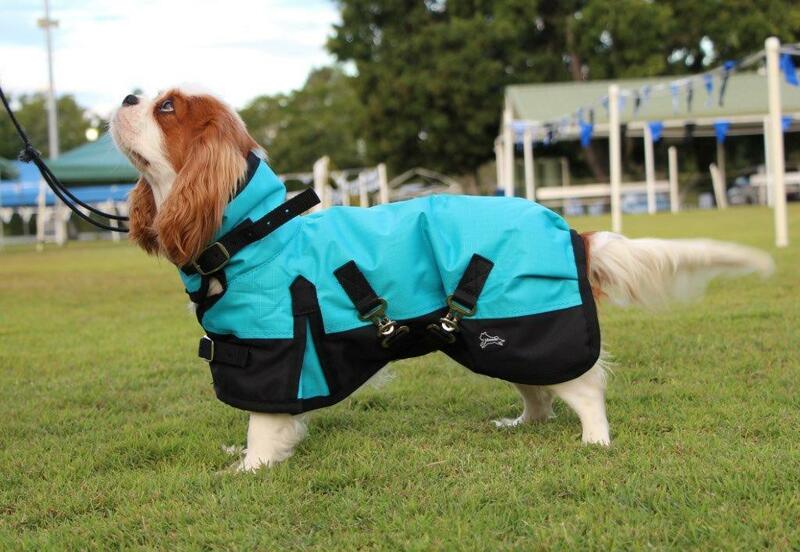 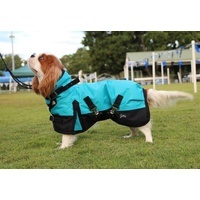 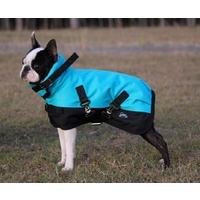 The breathable nylon lining insures that if the dog rolls in a puddle and the underside of the coat gets wet, it will dry out quickly great for rainy days. 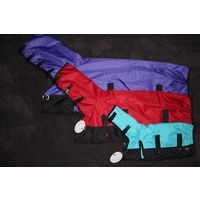 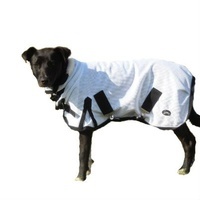 This rug features a neck rug attached with buckle fastenings to offer your friend more protection, Double surcingle belly fastenings to ensure the coat stays on. 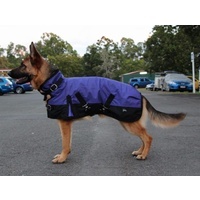 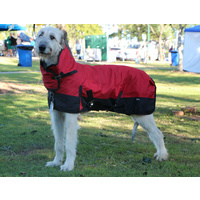 Ideal for use as a day coat for cold winter days and great for protecting your long coated dogs on winter nights. 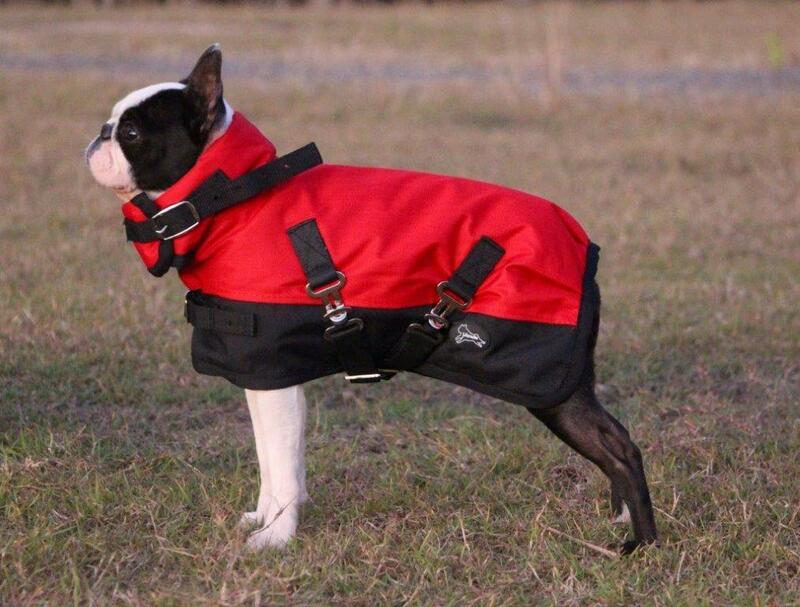 Want to go for walks even if its raining. 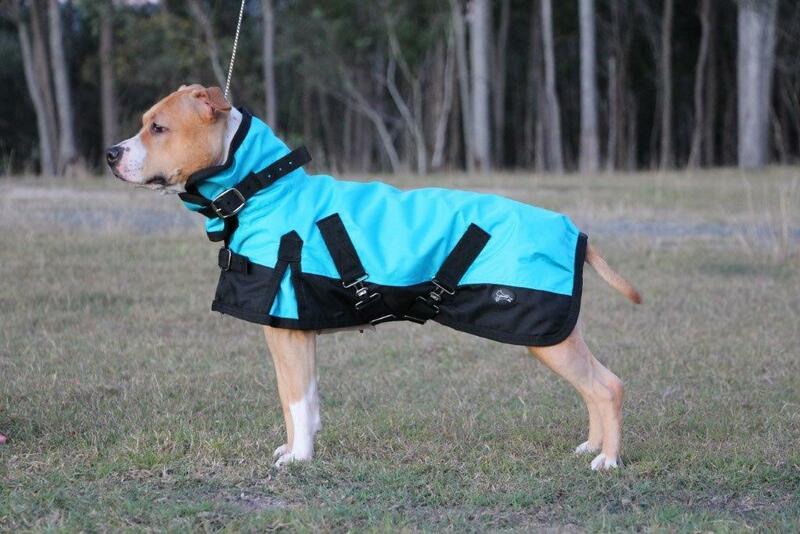 Afraid of storms as our coats hug the dog they seem less anxious. 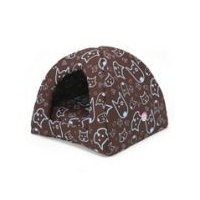 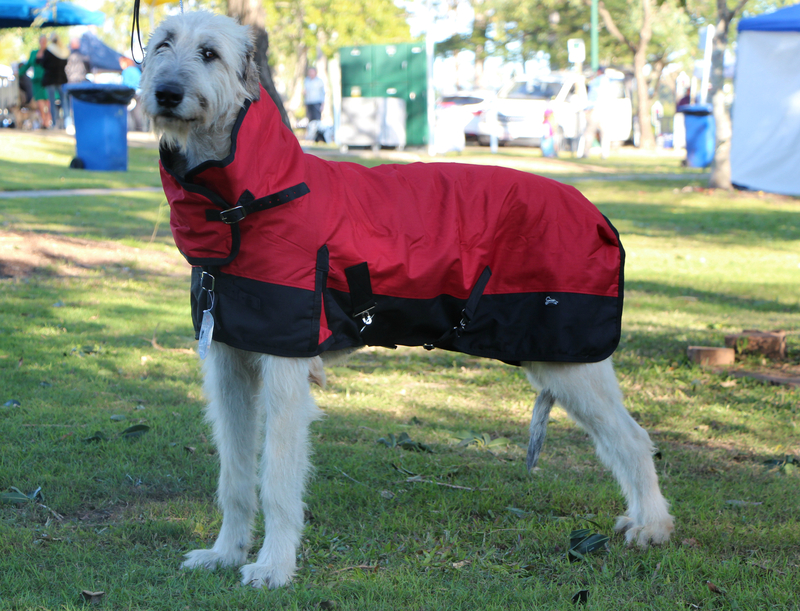 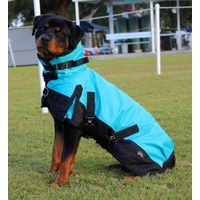 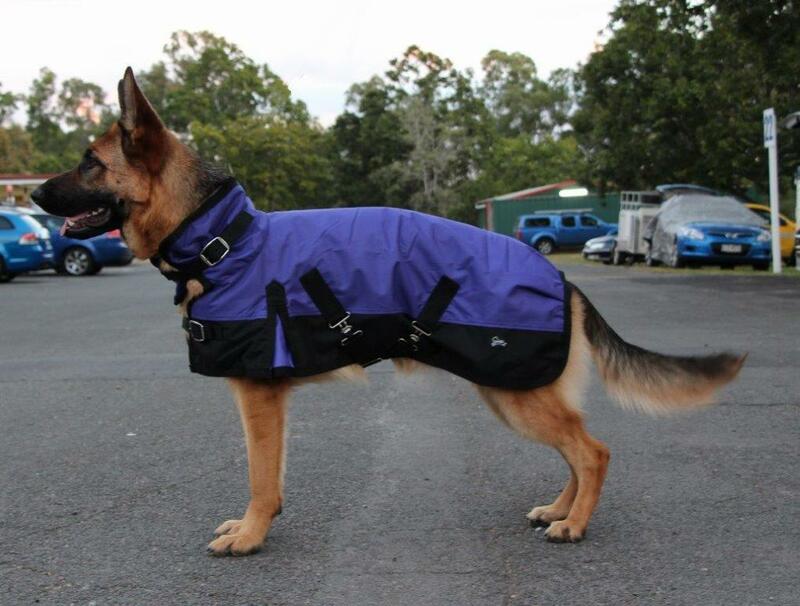 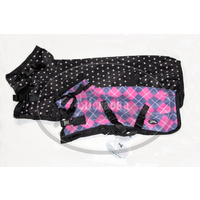 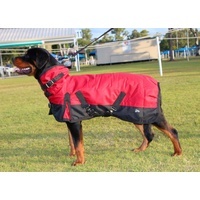 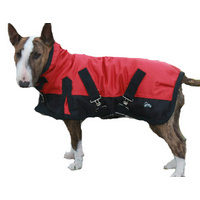 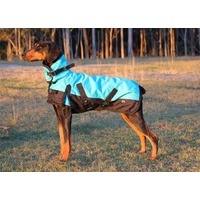 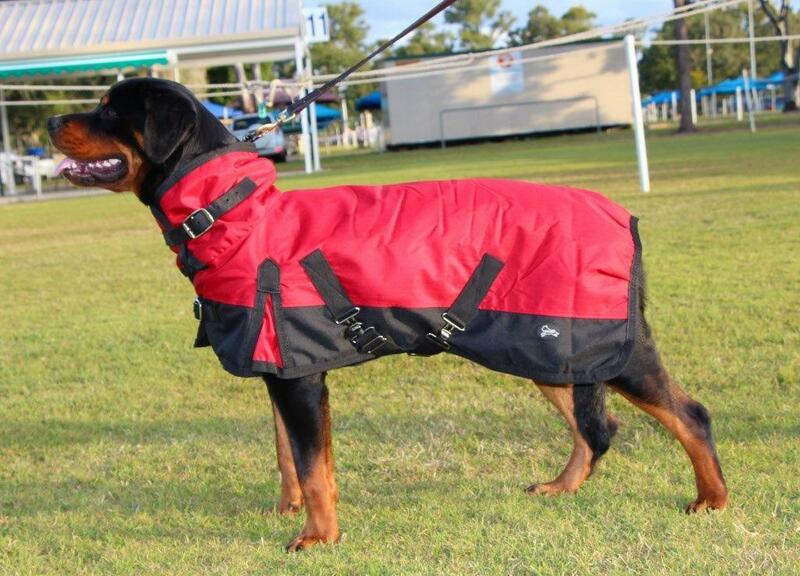 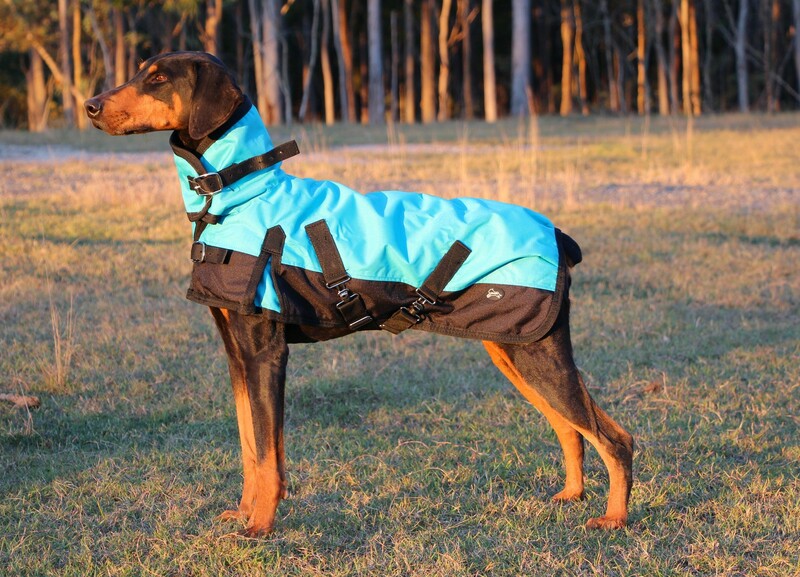 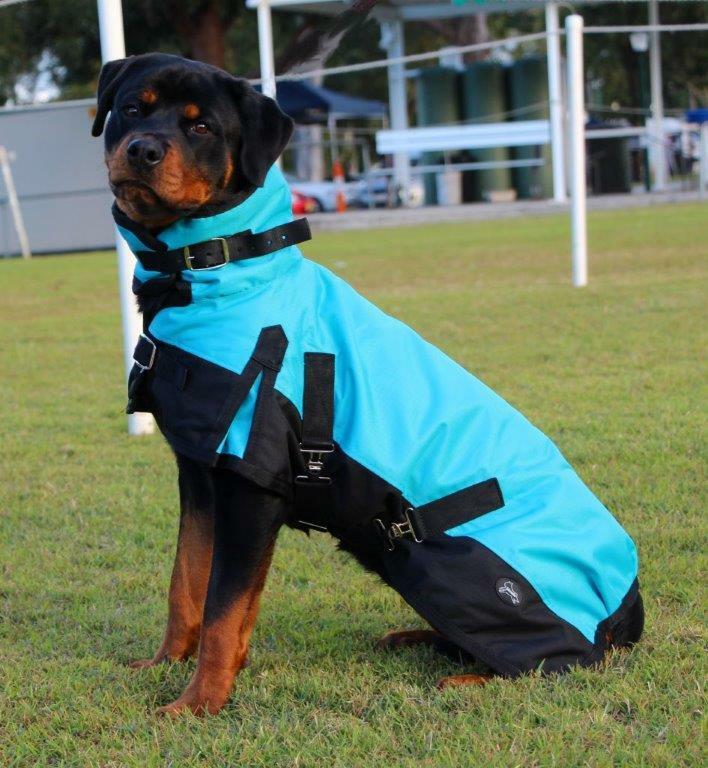 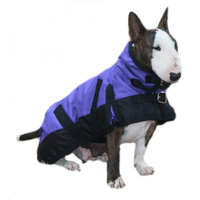 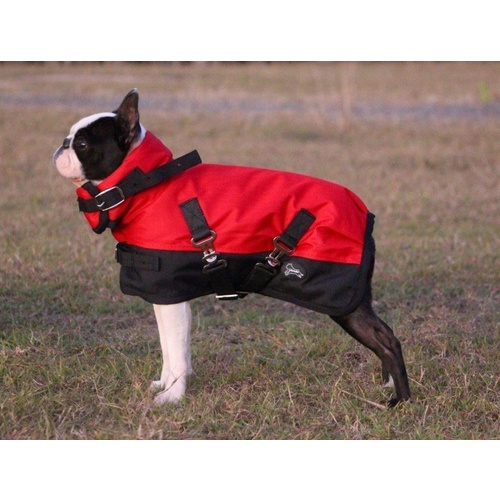 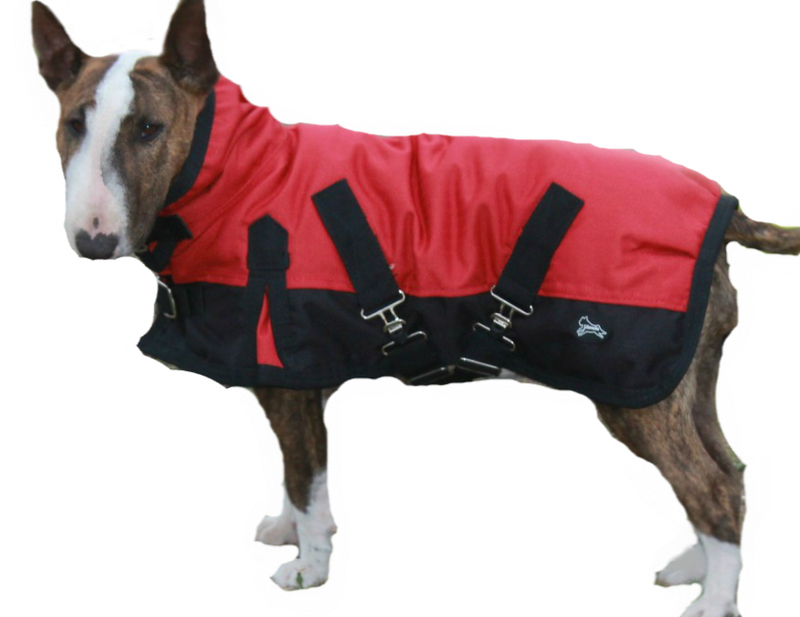 Great for dogs with a long coat it offers protection from the weather without the additional warmth of a winter coat.